MGM has been proud to feature Bionic Gloves since their inception, and now they have a new product that is destined to be a winner! 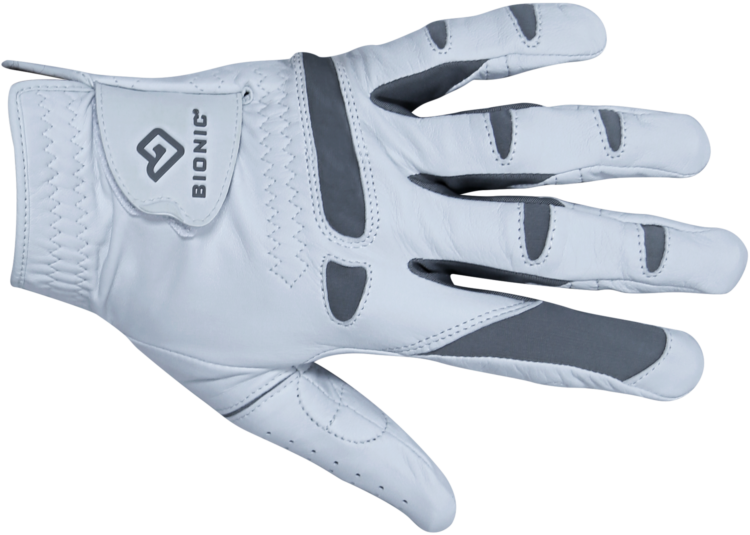 LOUISVILLE, KY – (February 28, 2017) Bionic Gloves, a division of Hillerich & Bradsby Co., has launched a new PerformanceGrip® Pro Golf Glove designed for the competitive golfer looking for superior feel and improved grip in a light weight glove. Designed by a leading hand specialist, the Cabretta leather gloves include terry cloth pads strategically placed to promote a light grip while absorbing perspiration to keep hands cool and dry. The gloves also feature dual expansion zones that accommodate for thumb length and width allowing for better comfort and fit for a variety of hand sizes. The newest Bionic PerformanceGrip® Pro gloves feature enhanced 3D wrap-around pad technology for a more secure grip while patented pre-rotated finger design complements the natural closure of the hand and helps reduce fatigue. The gloves are proven to be two times more durable, retaining their “new glove” feel longer than a standard leather golf glove*. Bionic Gloves has also included an easy grab tab making removal simple and quick. All the updated features were created with the competitive golfer in mind, aiming to improve their game while maintaining grip, comfort and fit. For full product descriptions see attachment. PerformanceGrip® Pro Golf Glove will be available in late Spring for $29.99 each in white at BionicGloves.com as well as select retailers and pro shops. To learn more about Bionic, check out Bionic Gloves on Facebook, Twitter, Instagram and You Tube. *Results based on independent research conducted with golfers testing Bionic StableGrip vs. a standard leather golf glove of premium-grade quality. About Bionic Gloves: Bionic is at the forefront of glove technology in many sports and activities – golf, fitness/weightlifting, racquetball, tennis, gardening and others. Bionic Gloves have received numerous awards and recognition including the National Home Gardening Club Seal of Approval, the National Health & Wellness Club Seal of Approval, the Handyman’s Club of America Member Tested Seal of Approval and the PGA Tour Partners Magazine Member Tested Seal of Approval. Bionic Gloves is a division of the family-owned Hillerich & Bradsby Co. H&B manufactures the iconic Louisville Slugger® wood bats, the Official Bat of Major League Baseball®. The company also operates the renowned Louisville Slugger Museum & Factory®, a leading tourist destination.